A month before Queen Elizabeth I celebrated her thirty-seventh birthday, her distant kinswoman Ursula Pole, Baroness Stafford died at the age of sixty-six. Where the wealthy baroness died is unknown, although it is possible that she passed away at one of the properties of her disgraced father-in-law Edward Stafford, the late duke of Buckingham. Born about 1504, Ursula was the youngest child and only surviving daughter born to Margaret Pole, countess of Salisbury, by her husband Richard Pole, a loyal friend to Henry VII. The countess was the daughter of George, duke of Clarence, who was brother to the two Yorkist kings Edward IV and Richard III. Thus Ursula was both the duke of Clarence's granddaughter and the grandniece of two kings. 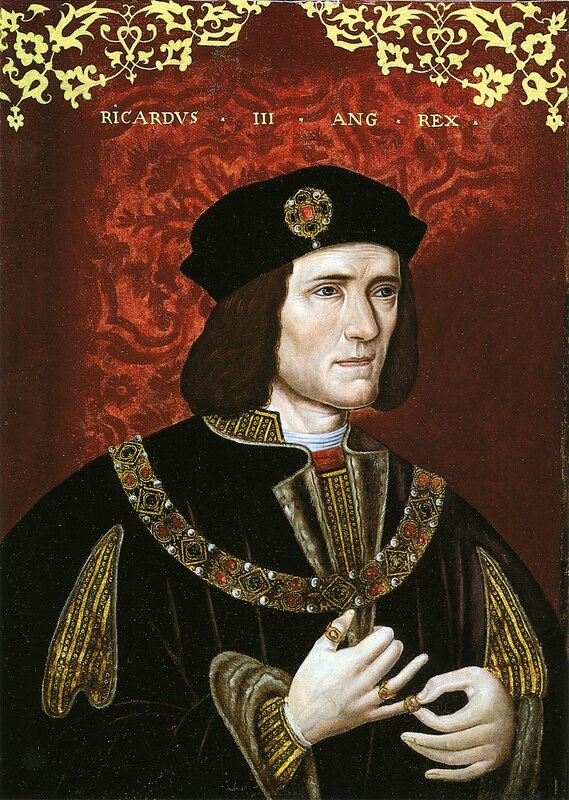 She was related to Henry VII by his marriage to her relative Elizabeth of York. Margaret, countess of Salisbury was held in high esteem by Henry VII. She was close to Katherine of Aragon, whose household she served in during the princess's short marriage to Arthur Tudor. When Ursula was probably less than one year old, her father died. This impacted negatively on her mother, for the countess was left in difficult financial circumstances given how meagre her jointure was and because her husband's salary had come to an end. When Henry VIII became king in 1509, Margaret's position improved somewhat, for she became a member of Queen Katherine of Aragon's household and she was restored to the earldom of Salisbury in 1512. Her lands were worth worth over £2000, a significant sum in those days. Above: Ursula's mother, Margaret Pole, countess of Salisbury. By virtue of her mother, Ursula was grandniece of both Edward IV and Richard III. Ursula spent her formative years at Warblington Castle in Hampshire, a residence that had been granted by Henry VIII to her mother around 1513. Her four brothers were Henry (later first Baron Montagu); Reginald (later a cardinal and vocal opponent of Henry VIII); Geoffrey; and Arthur. Whether or not Ursula was close to her siblings cannot now be known. Historian Hazel Pierce has conjectured, however, that Ursula was close to her second brother Reginald. Certainly it is possible that she both loved and admired her mother. Margaret, countess of Salisbury was pious and learned, dignified and gracious. Unfortunately for her, however, the Tudor dynasty was suspicious to the point of paranoia when it came to the subject of the house of York. While Margaret had enjoyed good fortune during the reign of Henry VII, and prospered early on in the reign of his son, events were to take a dark turn following Henry's decision to annul his marriage to Katherine of Aragon. 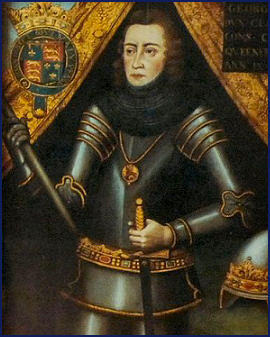 The countess came to be viewed by Henry as a double threat, on account of both her royal blood and her position as Katherine's close friend and confidant. Ursula, who was a married gentlewoman during these turbulent years, must have been well aware of the king's dark suspicions that were directed towards her mother's family. In the autumn of 1518, aged fourteen, Ursula made an excellent marriage. Her husband was Henry Stafford, son and heir of the duke of Buckingham, who would be executed for treason in the spring of 1521. Her father-in-law's disgrace impacted negatively on Ursula and her husband, although they managed to obtain several of the duke's confiscated lands and manors in both 1522 and 1531. Ursula and Henry seem to have enjoyed a contented marriage, in which Ursula gave birth to fourteen children. One daughter, Dorothy (born in 1526) would later serve as Mistress of the Robes to her kinswoman Elizabeth I. Baroness Stafford appears to have been on good terms with her sister-in-law Elizabeth Stafford, duchess of Norfolk, for the duchess later bequeathed to her several costly items of jewellery and apparel. 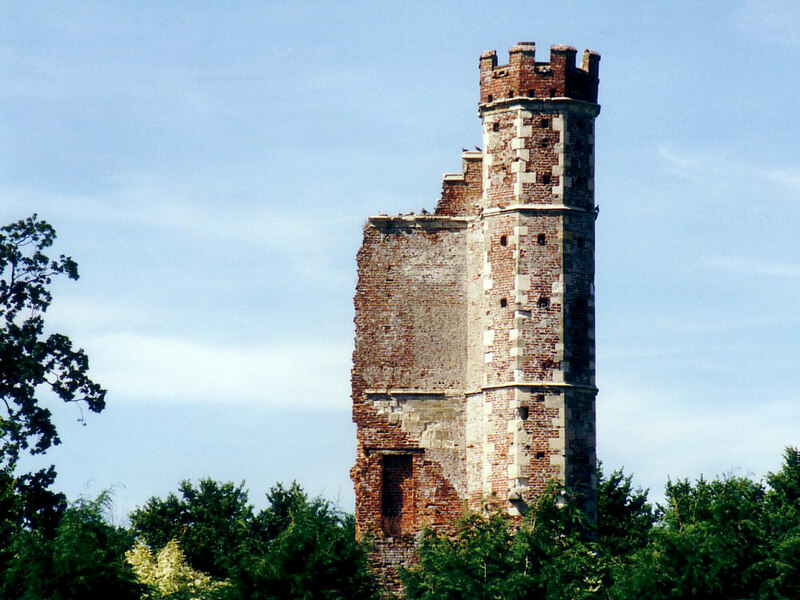 Above: The remains of Warblington Castle. Ursula grew up here during the 1510s. By the later 1530s, however, Ursula's natal family found itself in dire straits. Henry VIII became convinced that the Poles, on account of their Yorkist blood, intended to unlawfully seize the throne from him and his heir Edward. This paranoia was fed in part by the king's hostility towards Cardinal Reginald Pole, who had vocally condemned Henry's decision to break with the Roman Catholic Church. In the summer of 1538, Geoffrey Pole was arrested on account of the discovery that he had been in communication with his brother Reginald, an unforgivable act in the eyes of Henry VIII given his belief that Reginald was a traitor. Henry Pole was executed in January 1539 alongside the marquess of Exeter. In November of that year, Ursula's mother, the countess of Salisbury, was interrogated. She convincingly attested to her innocence, to the grudging admiration of her interrogator William Fitzwilliam, earl of Southampton. Margaret's steadfastness proved, however, to be of no avail. In November 1539 she was incarcerated in the Tower of London, and she was found guilty of aiding and abetting her sons Henry and Reginald and of committing 'detestable... treasons'. In May 1541, the countess was executed in the most appalling manner. She was literally hacked to death by 'a wretched and blundering youth', a grisly death that shocked even the hardened courtiers at Henry VIII's court. In the space of two years, Ursula had lost both her mother and her eldest brother. It was fortunate for her that her brother Geoffrey was pardoned and managed to escape abroad; notwithstanding this fortune, Ursula surely experienced considerable grief and emotional turmoil. The impact of knowing that her mother had been brutally massacred in the most appalling of circumstances can only be imagined. Luckily, Ursula managed to escape the bloodbath of the Pole family. 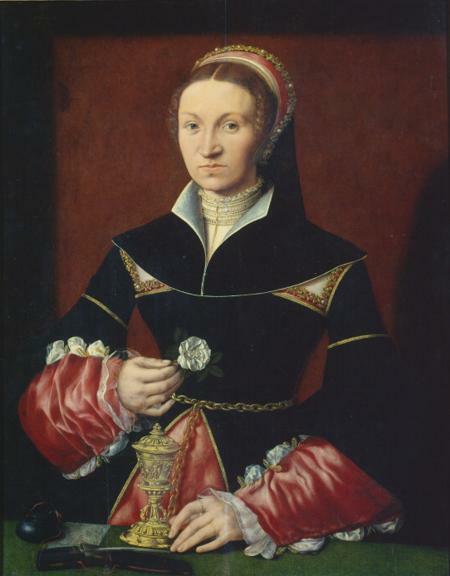 Ursula died on 12 August 1570. Her life had been eventful, but she managed to keep her head at a time when Tudor fear and paranoia was rife. She enjoyed greater fortune in the reign of Edward VI, when her husband was promoted to the barony, and as aforementioned her daughter was warmly received at the court of Elizabeth I. Ursula seems to have died in obscure circumstances. We cannot even be sure of where she was buried. She is one of the forgotten royal women of Tudor England, a Yorkist lady perhaps regarded by some as the rightful princess of England.